Strengthen the muscles of the upper body by doing a proper pull up using only a portion of your body weight. The Total Gym Pull-up Trainer is built on an adjustable incline allowing users to select a percentage of their own bodyweight to pull. With seven incline levels to select from, this unique pull up station rivals most lat machines by allowing users to lift anywhere from 35 percent to 65 percent of their own bodyweight. 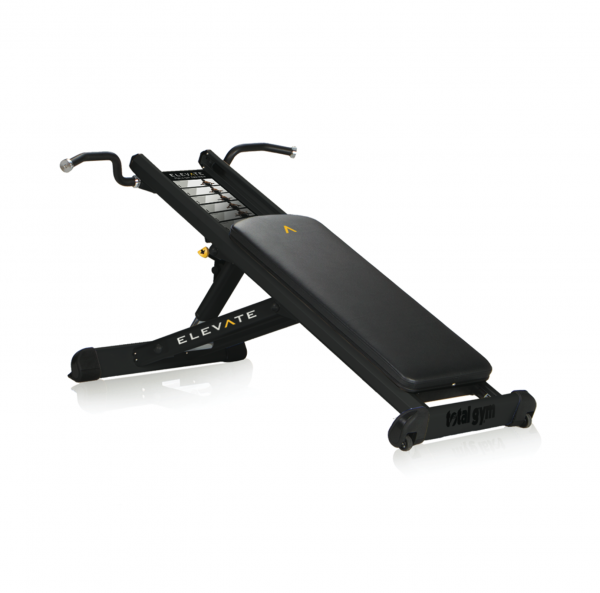 Its incline design also permits anyone to do a plyometric or one-arm pull-up. Seven incline levels allow users to progress from pulling as little as 30 percent of their own bodyweight up to 60 percent.